View or download the session and committee agendas. Contact your district representative today. 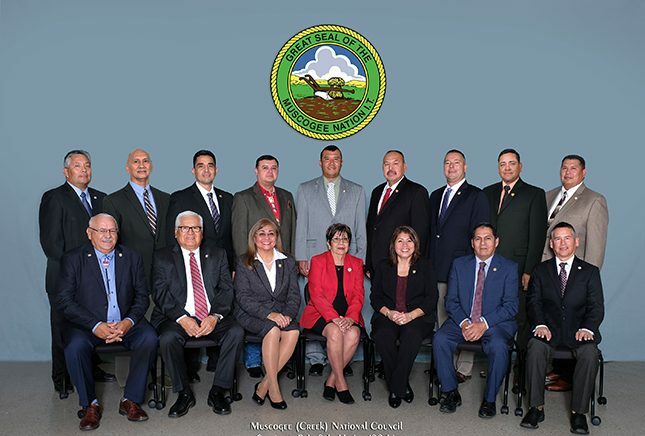 Catch up on the latest sessions and committee meetings. 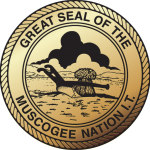 Under the guidance of the Almighty God, our Creator, We the People of the Muscogee (Creek) Nation, do promote Unity, to establish Justice, and secure to ourselves and our children the blessings of Freedom, to preserve our basic Rights and Heritage, to strengthen and preserve self and local Government, in continued relations with the United States of America, do ordain and establish this Constitution for the Muscogee (Creek) Nation. Ever wonder how a bill becomes law? Follow the process from start to finish. For camphouse/church and ceremonial grounds grant assistance. Download or Print the National Council Session Schedule. Keep up with National Council Regular & Quarterly Sessions from the comfort of your home.